Please note – No responsibility is taken by BM-Autohaus in any way for the correctness, condition or price of any item advertised here. Please make all checks before purchasing! This rare and pristine BMW M5 is up for sale due to more cars than parking space! BMW alpina B6 3.5, only asking $18,000 or nearest offer! Very rare full set of E28 BMW M535i complete body kit for sale! This is an honest standard car. The only change is the German made cross spoke alloy rims. Porsche GT3 brakes, Factory DTM Aero kit, Eibach koni fully adjustable suspension. Original Euro spec E30 M3 (1988) in very good condition and LHD as intended! 1989 325 manual, 295000 km with service history, has four months rego and is my daily driver! 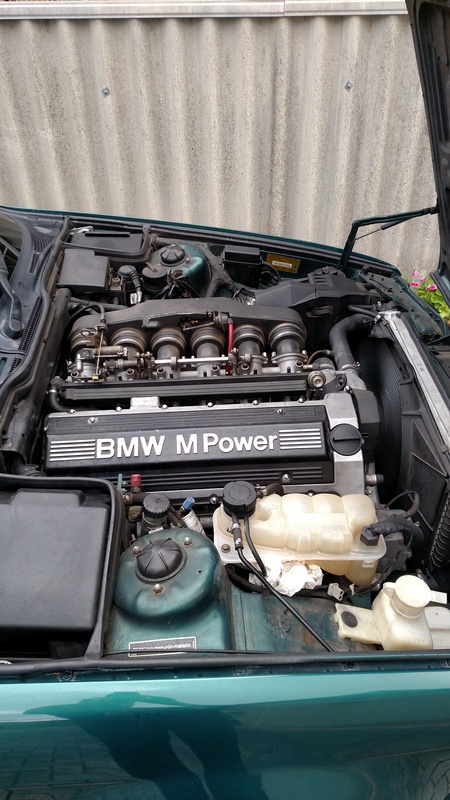 BMW e34 M5 (S38 b36) Engine, 5 speed Gearbox, EMS complete !! This Classic 1987 BMW 325e E30 CABRIO , Convertible in excelllent mechanical condition. Automatic transmission, 4 new tyres, new central locking/immobiliser just fitted. Also has a new stereo sound system with bluetooth.